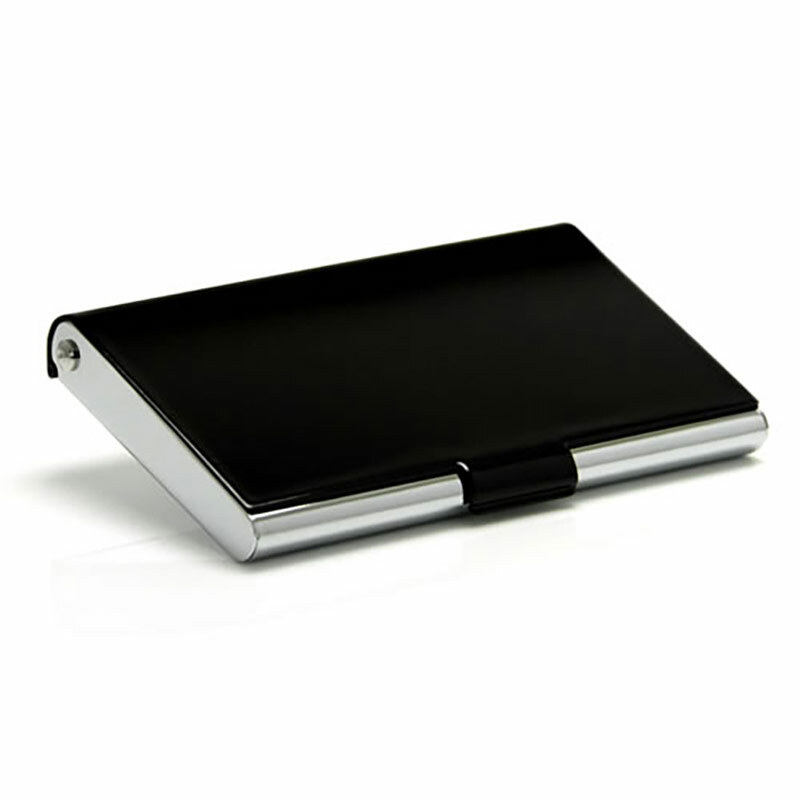 These ultra-stylish pocket business card cases have a black high-gloss hinged lid and a fine quality silver plated body. The sturdy case will keep up to 25 standard business cards in crisp and pristine condition, while the eye-catching finish will ensure that you create a professional image every time you offer or receive business cards. The lid of the case is perfect for engraving with text or logos, with laser engraving cutting through the black gloss finish to reveal a light coloured base beneath. These gorgeous card cases are offered with free engraving of text and logos along with bulk order discounts and low, fixed cost delivery.